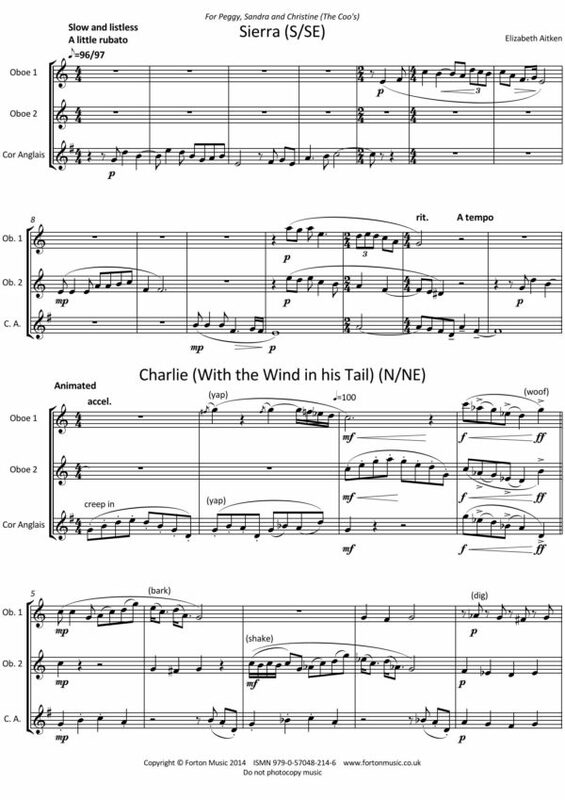 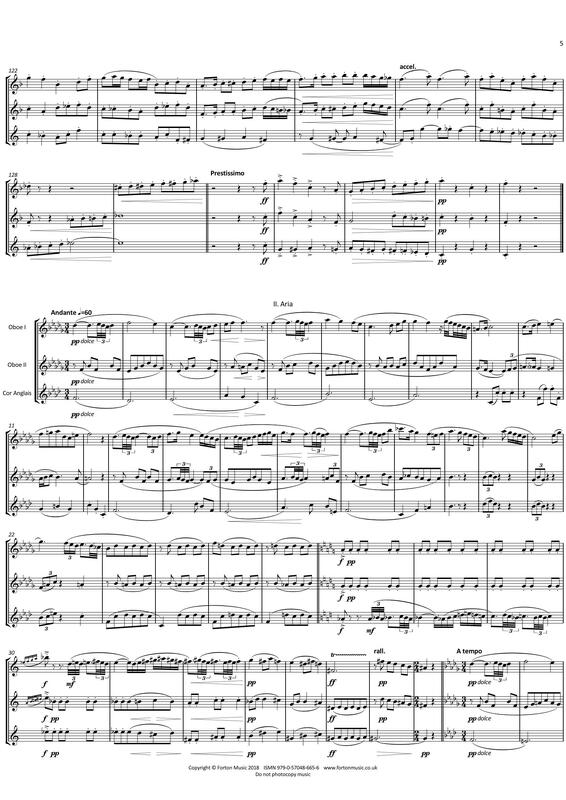 In the classical music repertoire there aren’t many compositions written to be played by a trio of two oboes and English horn. 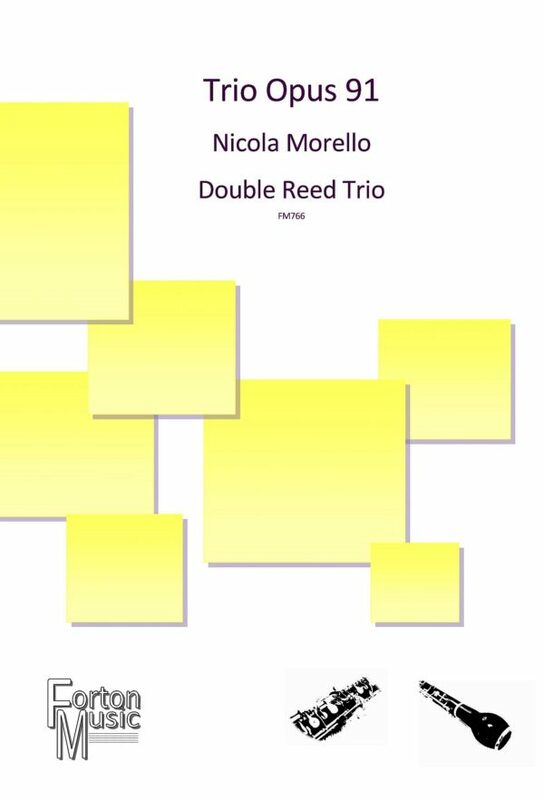 So this brilliant Trio, composed by Nicola Morello, is as unexpected as it is welcome. 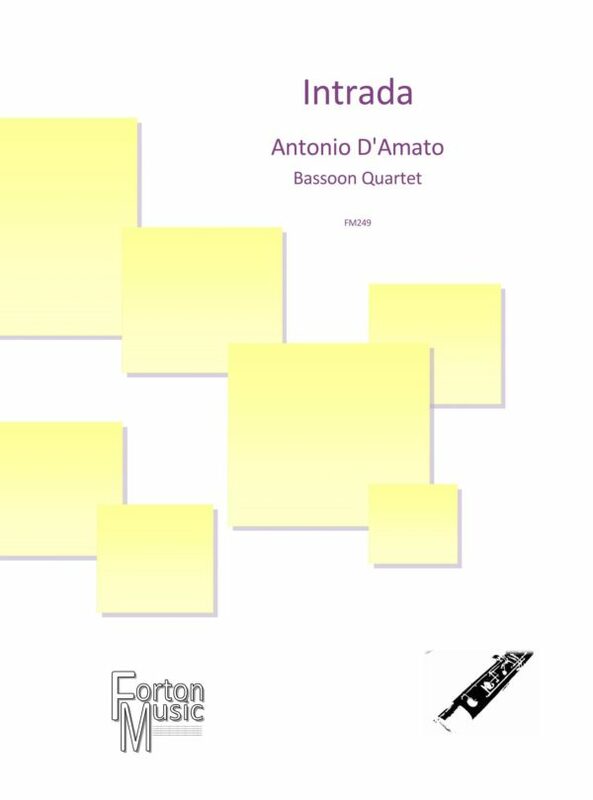 It was composed for the L’ancia-in-resta Oboe Trio, a group formed by oboe students from the Liceo Musicale “V. 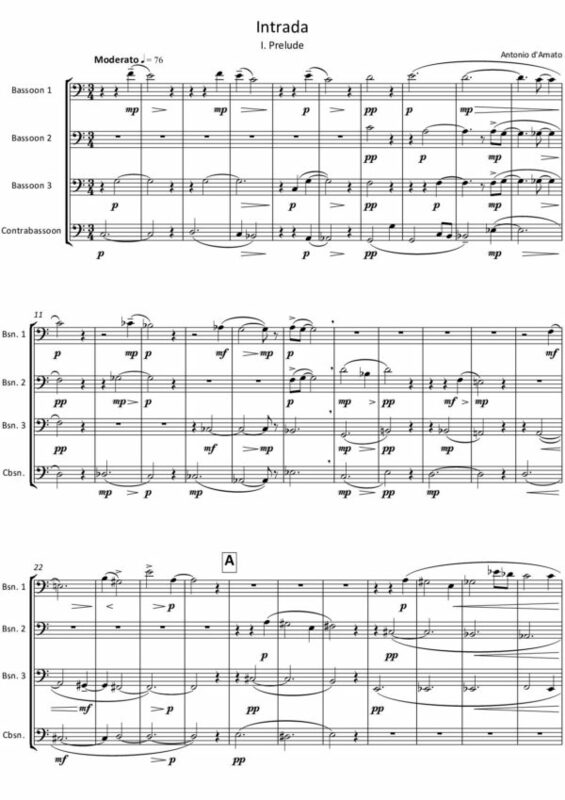 Gambara”, Brescia (Italy). 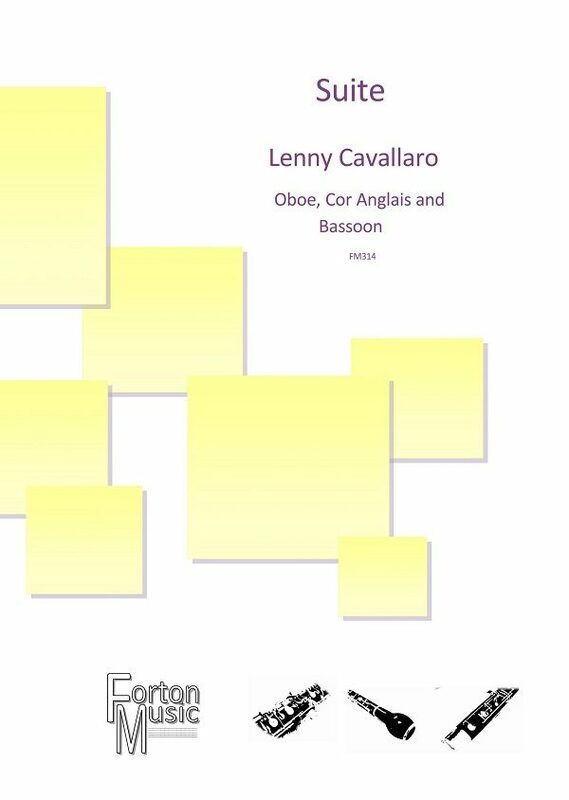 This Oboe Trio Op.91 is a complex work in three movements, closer to the baroque form than that of a classical sonata, with continuous references between the themes of the composition in a cyclic form. 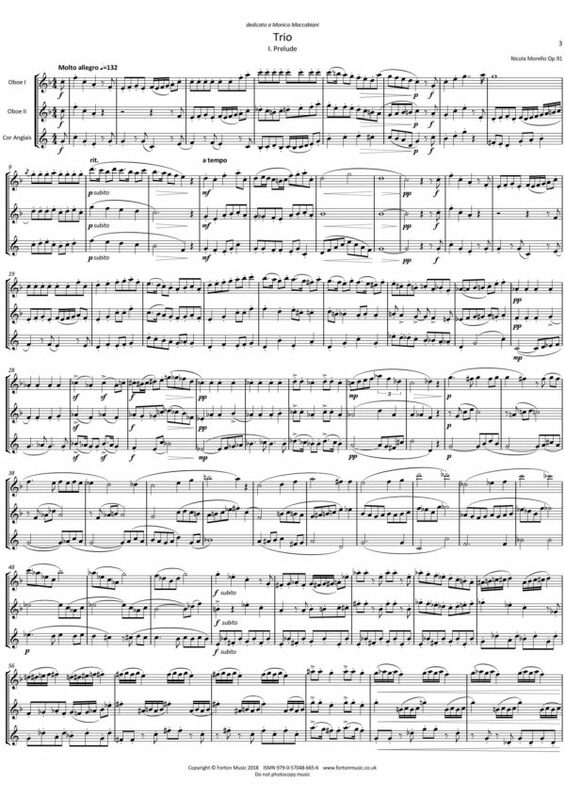 The first movement – Prelude – is cheerful and ironic, full of a combination of classical melodies, modern harmonies and sounds of cars honking and train noises. 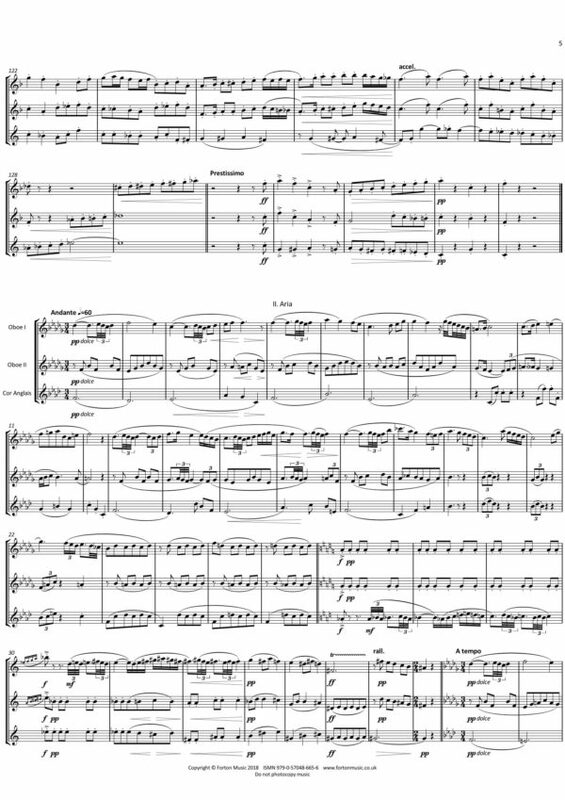 The second movement – Aria – is a sarabande with a melancholic and religious melody, that bar by bar enriches itself of ornaments, concluding the movement in a desolate mood. 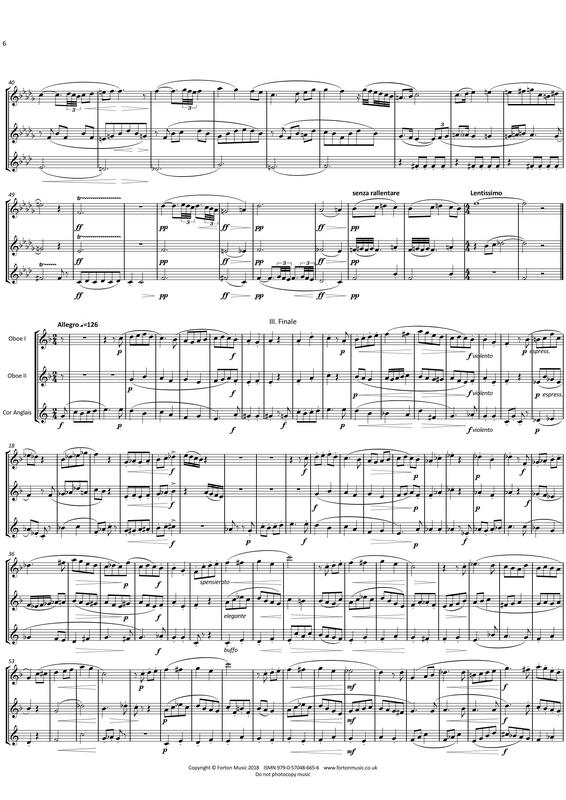 The third movement – Finale – concludes the Oboe Trio with a continuous reference to all the themes submitted in the previous movements. 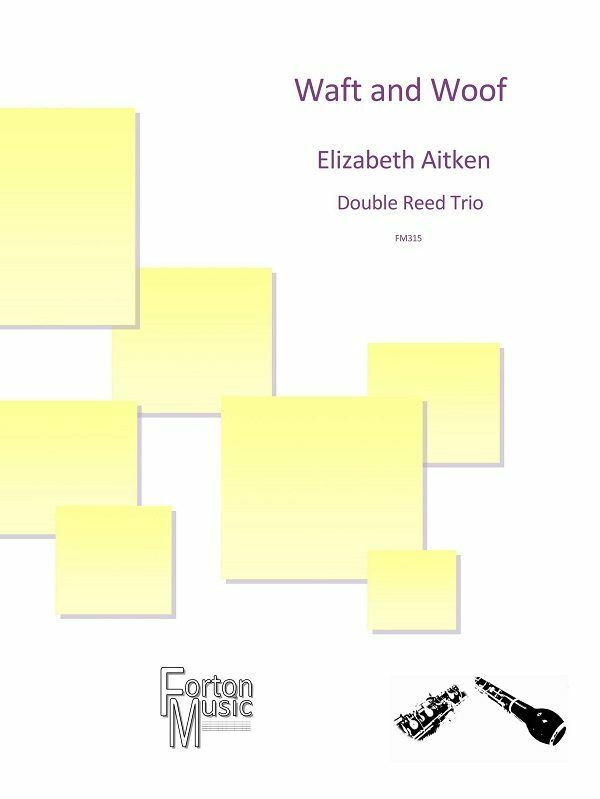 For all of these reasons, the Oboe Trio Op.91 is an incredibly exciting work, an original sound world that embraces the last two centuries of musical composition.